When looking for new props there are countless options, and all it takes is some time, creativity, and an eye for a good prop! Here are some ideas that we have stumbled across, and hopefully they will spark some ideas of your own. When it comes to props, anything is cute with a baby in it! There is no rule as to what makes something work for a prop. Almost anything that can hold something will do. Try any assortment of cute boxes, wicker baskets, buckets, small galvanized tubs, wooden crates, bowls, a wagon, an old hat box, a small suitcase, a toolbox… The list goes on and on. Add soft-textured blankets or faux fur to make them comfortable for a baby to sleep or sit on, and beautiful for you to photograph. Changing out your blankets will give you the ability to change the look and feel while using the same props again and again. First of all, make sure it is safe! Stay away from anything with rough edges or small parts that the baby could accidentally swallow. Also, keep it simple. You don’t want the prop to overshadow the subject. If you are uncertain about how your newly purchased props will work in shots, offer to do some free practice sessions for a friend with a baby, or offer a couple of discount sessions to clients in return for some practice with the props. One of the cutest and most popular props for newborns is the hanging hammock. These can be tricky to set up and must be used with absolute attention to safety, but the end result is adorable and so worthwhile! You will get a different look depending on the style of hammock and fabric type. For a soft appearance, try a hammock made of lace or a light cream knitted yarn. If you are going for something more bold or seasonal, try using colors to match your theme such as pumpkin orange for fall, rusty red for Christmas, or gunmetal gray for winter. Before purchasing, it maybe be helpful to do some research on set-up and posing, such as this video. 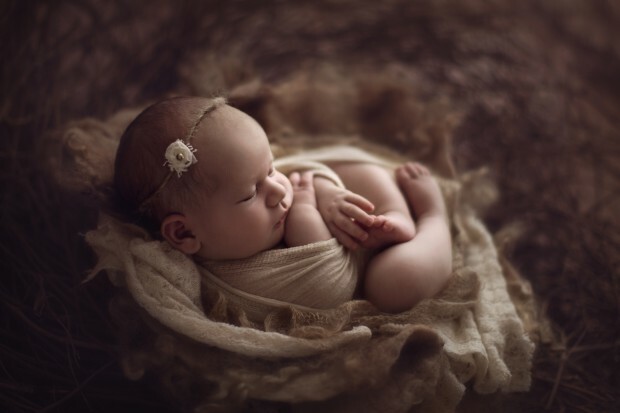 There is something about stuffed animals that makes us feel “fuzzy” inside, especially when it comes to baby portraits! They instantly up the cuteness factor and give the baby a fun toy to interact with. It’s always a good idea to have some classic Teddy Bears on hand, or ask the parents to bring a favorite stuffed animal toy from home. The parents will love having the memorable item captured in a photo, and the animal’s presence may give you the chance to capture a few more smiles than usual! 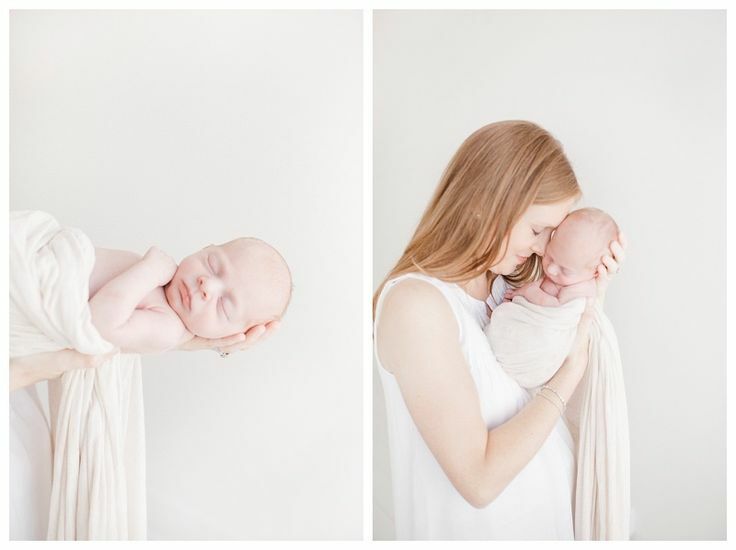 One of the most exciting parts of baby photography is not just the cute, adorable subject, but the fun and creativity involved with every photo session. Each photo shoot is a whole new experience when tailored specifically to the baby’s (and the parents’) personalities. Whether shooting outdoors in a beautiful community park or indoors in your own home studio, there are endless ways to make each photo session special and unique. One of the simplest ways to do this is by using props. If you aren’t best friends yet with your can of spray paint, you will want to be! Hunting for baby props can uncover all kinds of cute used furniture (and they will probably need a face lift!) Spray paint is the perfect solution to these kinds of hidden treasures. Turn a dingy, dull children’s chair into a bright and bold yellow, a little rocking chair into a beautiful white, or a tiny bench into a robin’s egg blue. These kinds of pieces will add a pop of color to your photos, and at little to no cost! 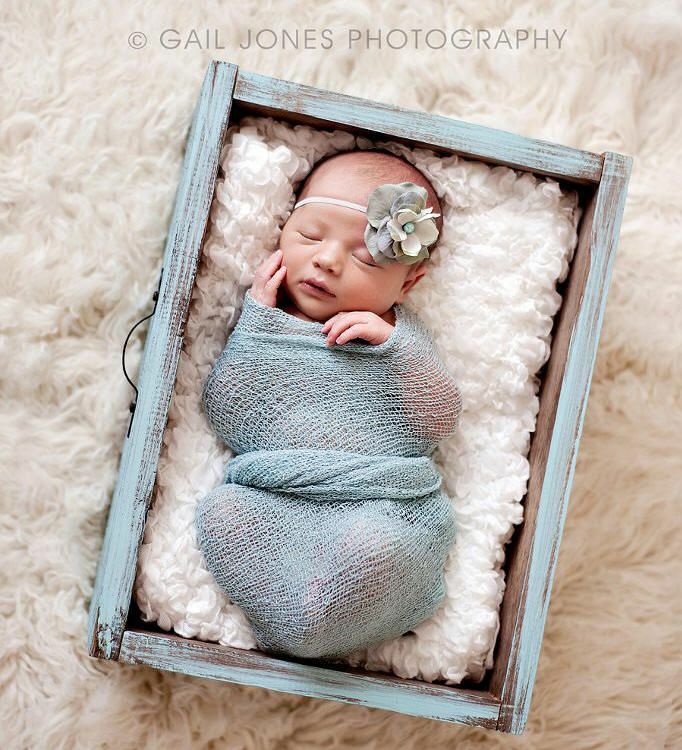 For newborns, try using newborn baby beds for a cute prop! Sometimes keeping it simple is best, so be sure to use the most important prop always on hand – mommy or daddy! 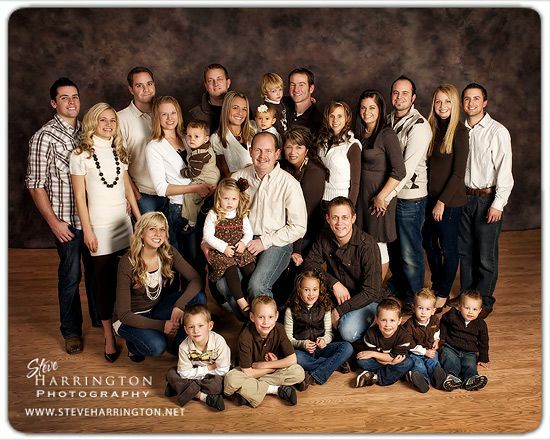 There are a multitude of poses you can do involving the parents that are simple and elegant. Try arranging the baby on either or both parents’ arms. Get up-close shots of them holding the baby, or swaddled in their hands. Have the parents hold the baby’s feet while their hands create the shape of a heart. Add items of personal memorabilia such as mommy’s and daddy’s wedding rings. If daddy is a baseball player, have him try holding the baby in a baseball glove. If you are looking for something easy, inexpensive, and versatile, this is your prop! A garland is a fun and simple way to add some interest to your next baby session, and it works whether you are inside or outside. The nice part is it won’t overshadow your subject, but still adds a splash of color to your background. The types and styles of garlands are infinite, some of the most popular being triangular bunting flags. For a softer appearance, try some baby snowball yarn or clothespins on a string. This prop would be easy to DIY if you are on a tight budget. If you are doing a photo session with a newborn and you don’t want the baby unclothed the entire time, using a diaper cover is a great alternative. Pair it with a matching headband or hat, and you have an adorable outfit! Diaper covers come in all shapes and colors – ruffles, feathers, crochet, patterned. You may think that diaper covers are only for baby girls, but there are some creative options even for baby boys. Try blue with polka-dots, brown plaid, this dinosaur outfit, or even camouflage! Diaper covers are a great way to dress up a baby without much effort. One of the cutest trends in baby photography (and photography in general) is the use of chalkboards as a photo prop. The versatility is amazing! You can use it over and over in photo sessions, and have a different use every time. For newborns, use a chalkboard for writing birth information – name, date, weight, etc. As they grow older, use the chalkboard as a way to mark the number of months for the baby. They can even be used in holiday shots for holding cute phrases such as “Santa’s Little Helper”, “Ho Ho Ho”, or “Christmas 2013”. If you are really creative, assemble your own chalkboard using a picture frame and chalkboard spray paint found at most craft stores. 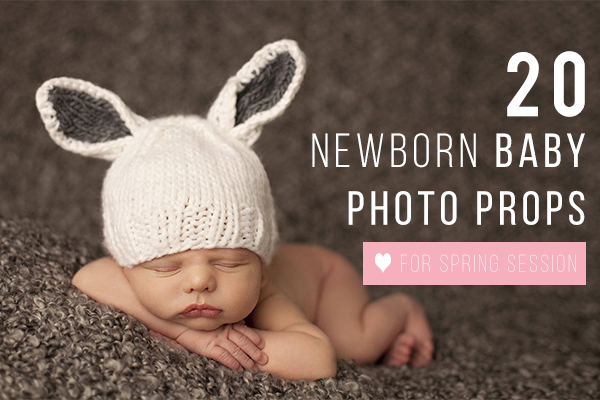 If you are like most baby photographers, you probably love your props! Just talk with any baby photographer and you will know how important props are to a session, and how much fun they can be. Finding the perfect prop is one of the most enjoyable pastimes, and some might even call it a hobby. If you are looking for unique places to find props, try stores like Hobby Lobby, Michael’s, TJ Maxx, Pier 1 Imports, or JoAnn’s. If you are looking to spend less money, try searching through thrift stores, antique markets, or even garage sales. Baby photography can be challenging, but it is also very fun and rewarding! Finding the right props can help you to turn a photo shoot from ordinary into a memorable experience for both you and your clients. There is nothing more playful, adorable, and fun than a baby in a hat. 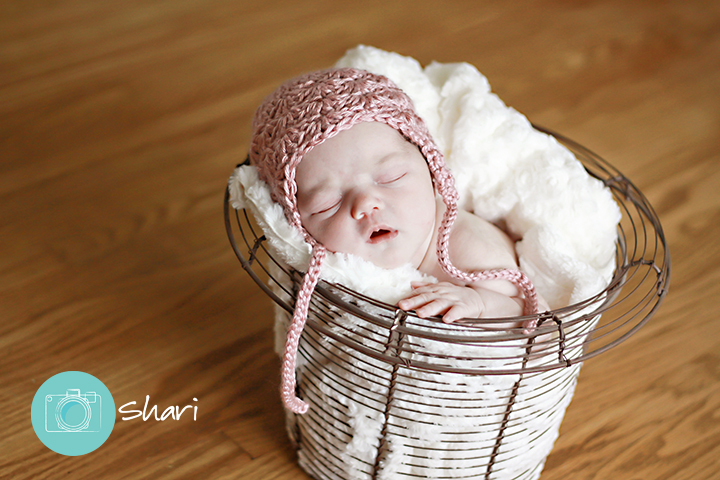 From a simple, knitted hat to something you’re more likely to see on Halloween, there is nothing that can spice up your photo sessions more than a baby hat. 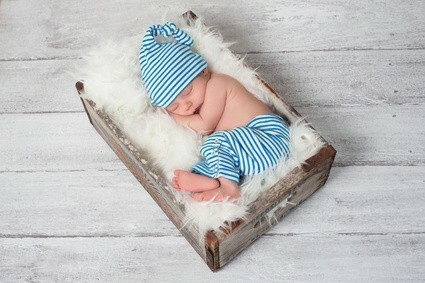 And as an added bonus, it is a great way to help keep a newborn warm during their first photo session. One of the best places to find baby hats is the online craft website, Etsy. Here you can find all kinds of beautiful handmade hats for baby photography, such as this cute flower hat, green monster hat, or Santa baby hat and leg warmers. For something simple and inexpensive, make your own newspaper sailor hats. You can change it up by using colored or patterned paper. What do you think are the cutest props for baby photography? All parents love to play “dress-up” with their babies, so give them the opportunity through a few well-chosen props! Baby girls always look good in headbands, and you can find many kinds online or in stores. They can be as simple as a colored band, or as dressed-up as flowers and jewels! It’s always good to have several options on hand. For baby boys try dressing him up with a mini tie or bowtie. These may be harder to come by than headbands, but the result is just as cute! This prop is inexpensive, and a great way to personalize a photo session! You can find large wooden letters at any hobby or craft store, and then just paint it any color to match – or even leave it wood! Use the first letter of the baby’s name, or if you are really ambitious you can spell out the entire name. I find this prop works best if the baby is old enough to sit up on their own because you can get some really fun shots of them holding or interacting with the prop. This could easily work for newborns too, just setting it behind or beside them. Interviewing your clients beforehand will give you a better picture of what they find important and may give you ideas for the photo shoot. Don’t be afraid to be creative!